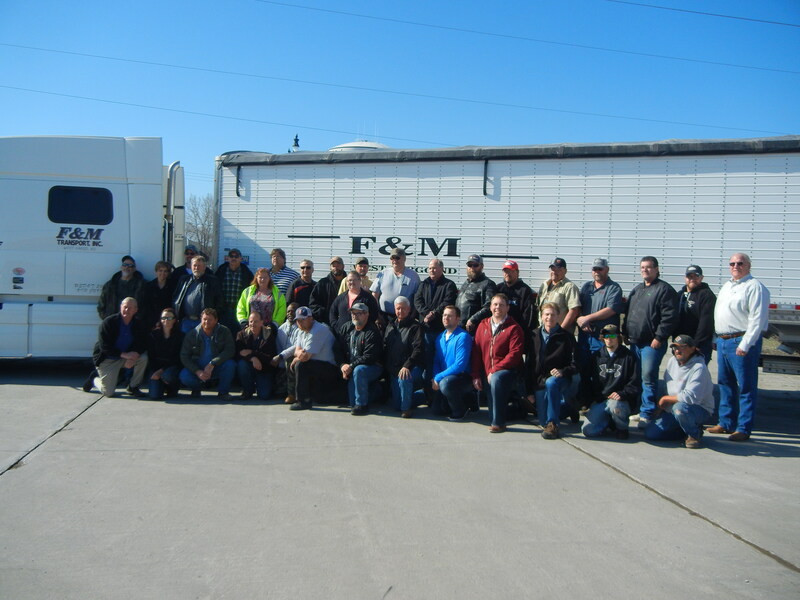 Established in 2001, F & M Transport, Inc. is a family-owned and operated over-the-road transportation company solidly rooted in the Midwestern traditions of customer service, hard work, timeliness, reliability, honesty, and a deep pride in agriculture. We specialize in bulk hopper bottom freight, and operate in the Upper Midwest, Southern States, and Canada. Our extensive combined knowledge of the agriculture market, our reputation for dependability and first-rate customer service, have led F & M to become one of the leaders in the bulk transportation industry. At F & M Transport, we own and operate over 50 over-the-road (OTR) trucks, and have access to as many as 150 or more additional trucks, as needed. We maintain high sided hoppers and can haul an extensive variety of lightweight agricultural bulk commodities. We haul from grain elevators to and from farmers and also to large production warehouses. We will work with businesses, large or small, to ship agricultural products with ease and efficiency. We make the best use of every mile. Our goal is never to have an empty truck coming or going, as our trailers are constantly being filled and cleaned. Our fleet consists of over 50 over-the-road trucks and over 100 tandem hopper bottom trailers and tri-axle hopper bottom trailers. Our tandem trailers are 84” high, 102” wide, and 43” long. Our triple axle trailers expand up to 90” high and 102” wide, and range in length from 50 – 53’. Our mission is to provide our clients with safe and timely delivery of their goods, provide superior customer service, and insight gained by our team’s extensive logistics experience in the bulk agricultural industry. The strength of our “Word,” dependability, and our knowledge have secured many long-term relationships in the bulk transportation industry. No project is too big or small.